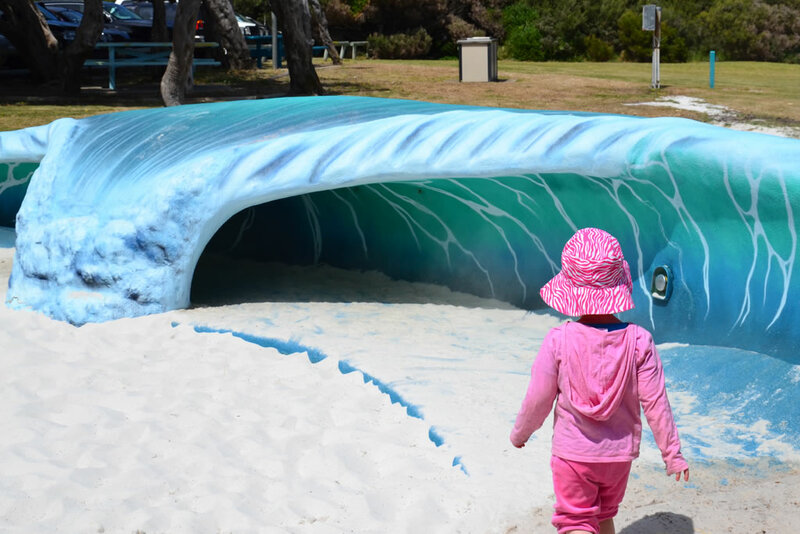 A marine themed nature playspace located in the south west WA coastal town of Yallingup. 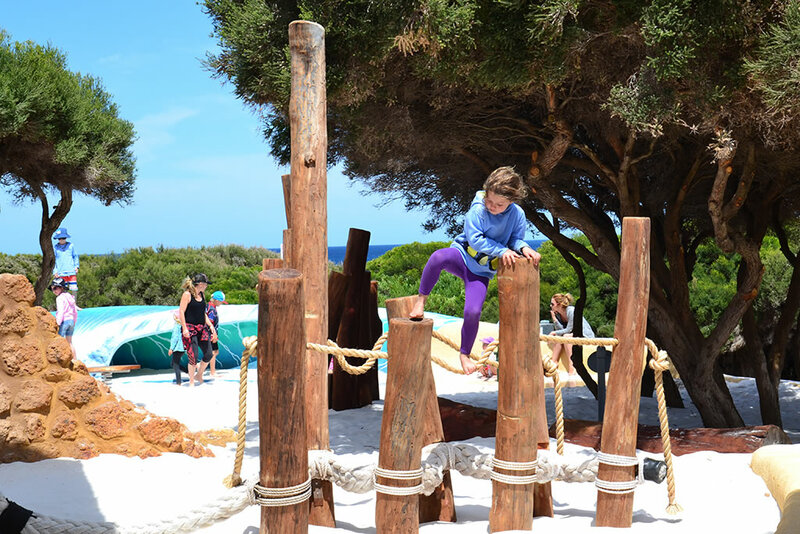 JBA was engaged by the City of Busselton to undertake the concept and then detailed design & specification of the Yallingup Play Space. 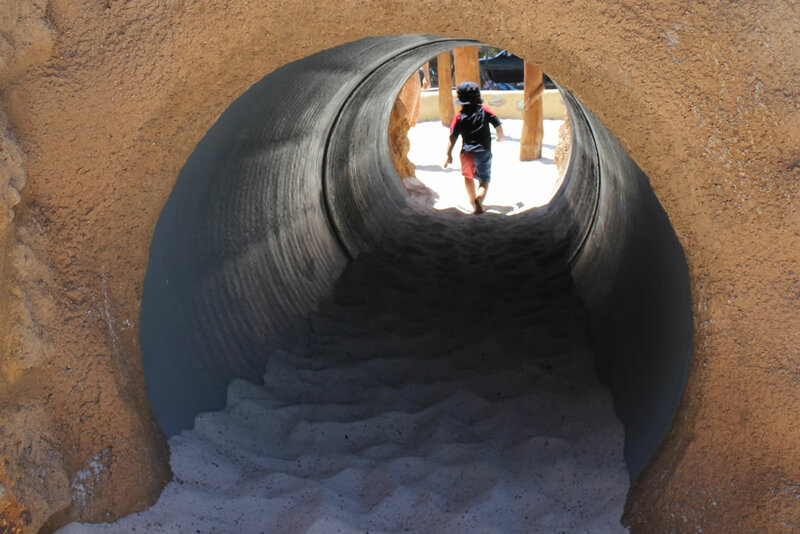 The JBA landscape team also prepared a preliminary cost estimate ready for tender preparation and assisted the City of Busselton with site meetings to ensure quality and design intent was maintained. 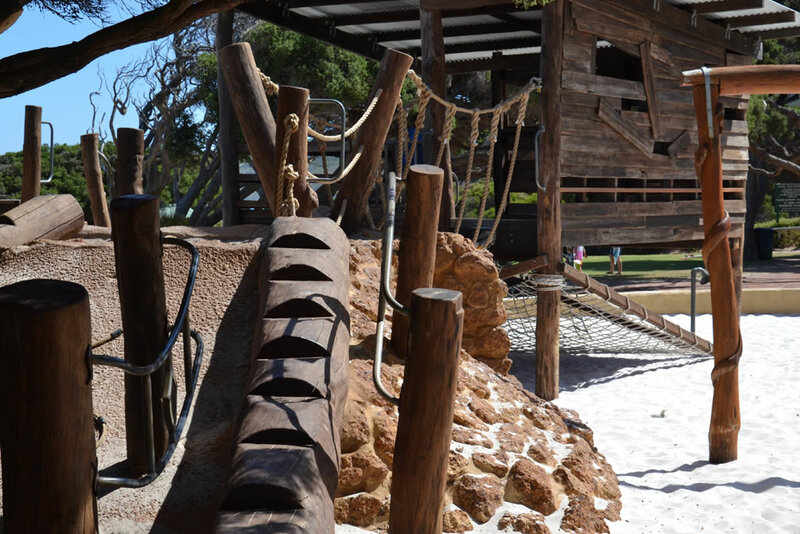 Nestled amongst mature tea trees, this coastal marine themed play space compliments its unique coastal setting and encompasses a diverse array of bespoke play items catering for all ages. 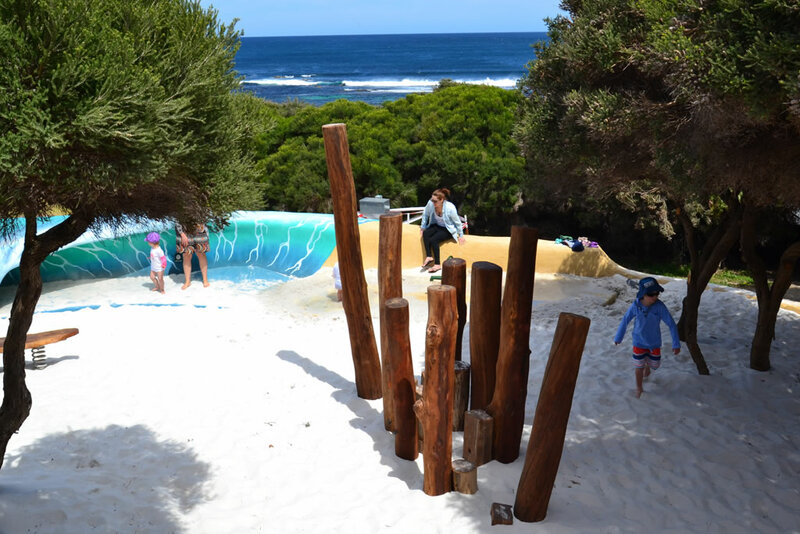 Constructed by Earthcare, there are interactive rock pools with a hand water pump, a small slide, play boulders, carved logs and stepping stumps all aimed at toddlers and younger children. 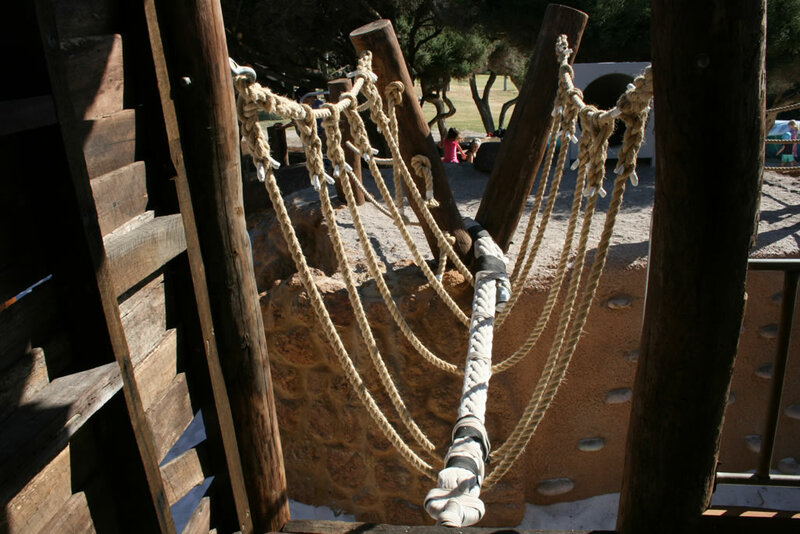 For the older children there are more physically challenging elements, including a “laterite island” with climbable boulders, a rope bridge and a rustic style beach shack with views of the ocean. 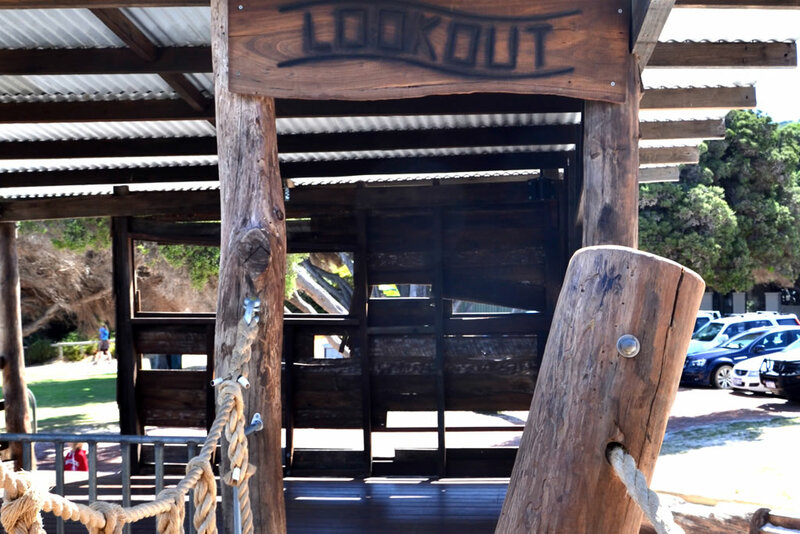 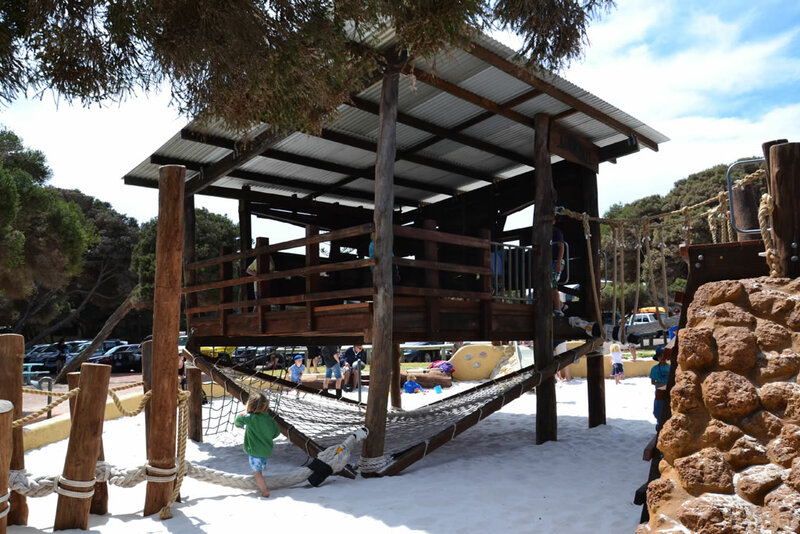 Yallingup won the Playspace Award – $250k to $1M category at the 2014 WA Parks and Leisure Australia (PLA) Awards for Excellence and was given a ‘High Commendation’ at the 2014 Kidsafe National Playspace Design Awards.